Medicare Part D is prescription drug insurance coverage provided by private companies approved by Medicare. Here's a look at the Part D basics. Medicare Part D is prescription drug coverage available for everyone who has Medicare insurance. You must have at least Part A hospital coverage to purchase Part D prescription coverage. Medicare Part D is only offered by insurance companies (that have been approved by Medicare), so you have to purchase coverage through an insurance provider. 1. Through a Medicare Prescription Drug Plan (PDP) that adds coverage to your Original Medicare plan (Medicare Part A and Part B). You can also add PDP to some Part plans including Private Fee-for-Service and Medical Services Account Plans. 2. Through a Medicare Advantage Plan. These HMO and PPO plans offer Part D coverage in addition to Part A and Part B coverage. You should join a Part D plan when you are first eligible for Medicare. If younwait, you could face late penalties that increase the premiums you pay for a certain period of time. You are eligible to enroll in Medicare and Part D beginning the 3 months before your 65th birthday and ending the 3 months after your 65th birthday. You can also enroll, switch, or drop Part D coverage between November 15 and December 31 each year. If you are enrolling for the first time during that window and it is not your initial enrollment period, you may have a late penalty. You won’t face a penalty for missing the initial enrollment period if you had a creditable prescription drug coverage or if you never enroll in Part D.
You’ll typically pay a monthly premium for Medicare Part D. That’s on top of any premium you pay for Part C. The cost for Part D coverage varies by insurance provider. If you have prescription drug coverage through an HMO or PPO, your premium will be included in your overall premium for the insurance. Your prescription drug coverage may require you to pay a copayment or meet an annual deductible. The copayment is your share of the cost. For example, your copayment might be 20% of the cost of the drug. The insurance company pays the remaining 80%. The annual deductible is the amount you have to pay out of pocket for your prescriptions before insurance pays anything. Not all insurance companies have an annual deductible. Your Medicare Part D plan may have a coverage gap. Medicare covers drug payments up to a certain point, then stops. At that point, you’re responsible for paying 100% of your prescription drug coverage for another period before Medicare begins paying what it calls “catastrophic coverage”. For example, you and Medicare might spend $2,700 on prescription drugs when coverage gap kicks in. Then, you pay out of pocket until you reach your $4,350 out-of-pocket max for the year. After that, catastrophic coverage will only require you to make a small payment on coverage drug through the end of the year. Some insurance plans will cover your prescription drugs during the coverage gap that reduce the amount of out-of-pocket you must pay. 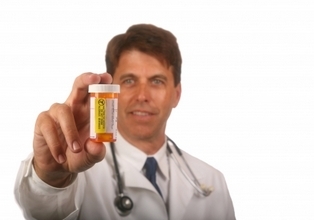 Some plans have rules for your prescription drug coverage. For example, you may have to contact you insurance company before having your prescription filled to show that the drug is medically necessary. Also, your insurance company may place a limit on the number of pills you’re allowed to receive at one time. Finally, your plan may require you to take a generic drug before covering the “branded” drug prescribed by your doctor. You must apply for Part D directly with the insurance company providing coverage. You can search for an insurance provider at the Medicare website.